Famine, Bamboo Death and Bamboo Flowering. Any relation ? Just an interesting thing I read and that is called Bamboo Death. It is related to famine. Is not this interesting? A plant can be linked to famine and that is not something which humans eat. If a plant like wheat or Rice is linked to famine then there is nothing to think of. 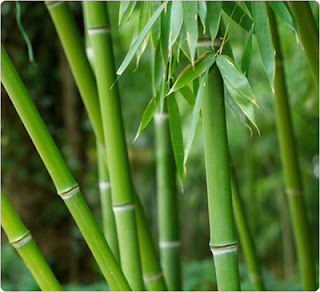 It is a belief that Bamboo flowering, which can occur in 7 to 120 years attributes to increase in rat, famine and unrest. Scientifically, it is proved wrong by some and proved correct by others. According to the theory, Bamboo flowering results in Bamboo seeds which rats eat and grow. After that time changes and seeds become unavailable to rats and those rats migrate to farm. This creates unavailability of food grains. I learnt about this theory from this Wiki page, which discusses about Famine in India.